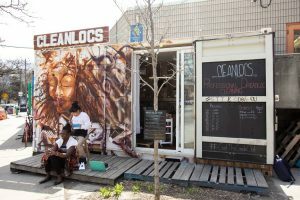 Presided over by the Scadding Court Community Centre, this impromptu open-air pedestrian mall has one of the most eclectic collection of startup businesses in the city. 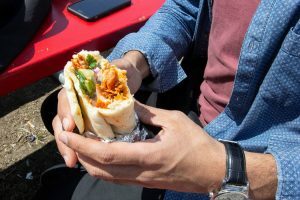 From Afghan food to loc cleaning services, these entrepreneurs really start to hustle once the warmer months hit, offering their services to wanderers from Kensington Market and staff from the hospital across the street. Take advantage of the sun and take your meal to any of the benches or seating options at this one-of-a-kind outdoor marketplace. Here’s a roundup of the businesses at Market 707. 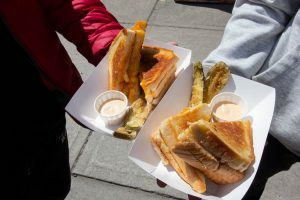 This stall specializes in decked out grilled cheeses that take Canadian comfort food to the next level. Sandwiches like the Jamrock come with pulled jerk chicken and a bit of spice; all orders come with fried pickles. 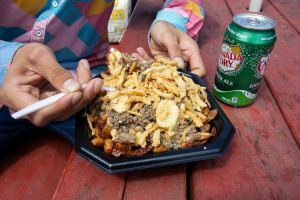 One of the longest vendors at this market, Marc Perreault used to specialize in crepes but now only offers insanely decadent poutine with all the fixings you could want. 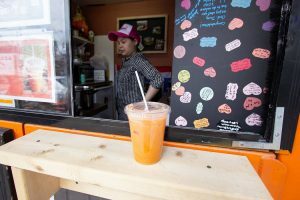 A Thai cuisine teacher at George Brown, Nantana placed a bid for her shipping container storefront two years ago. Now, she finally has a place to serve Thai street food dishes like the Pad Thai and green curry recipes she teaches to her college students. 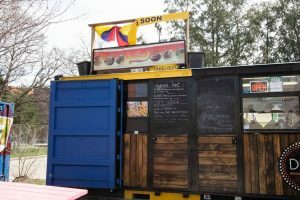 Another longtime member of the Scadding Court community, Gushi’s stall takes up the most real estate with two shipping containers. 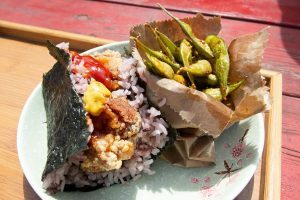 They’re famous for their Nanban boxes of karaage chicken and purple rice, but they’ve also got a secret sandwich version off-menu. 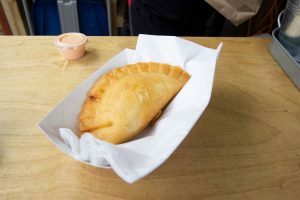 The former purveyor of cookies now solely serves snacks like empanadas, arepas, and Colombian coffee out of her stall. Still intact in Natalia’s menu however: chocolate brittle with roasted crickets. 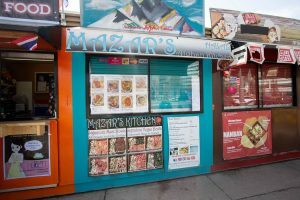 Bowls of golden basmati rice and salad come with traditional dishes like lubia (Afghan bean stew) and halal meats. 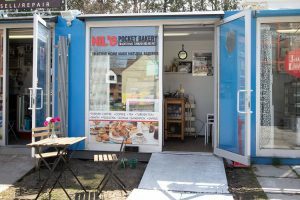 Located closer to Alexandra Park, Nill Inseri’s stall specializes in Turkish baked goods like simit bagels and sandwiches, which also come in vegan options. You can also find baked sweets here plus freshly brewed Turkish coffee to keep you up on hot summer days. This quirky little bakery has a thing for baked goods with faces. 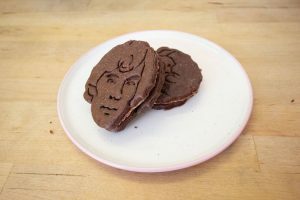 The whole stall is an ode to quirky British behaviour, hence the Benedict Cumberbatcheo cookies. If you’re lucky they might also have some Bill S’Morrays on display too. This catering company is all about Ecuadorian eats: their menu includes Hawaiian poke bowls with poblano sauce and plantain soft serve cones that come with Reese’s puffs, ruffles chips and Nutella. The homemade sauces of Desi Great Food now has a home in Market 707. Menu items include butter chicken wraps in thick, fluffy naan bread, showcasing their original creamy butter chicken sauce. The brand is also known for vegan mung curry and channa masala sauce. When Niya Belnavis noticed the complete lack of loc cleaning services in Toronto, she couldn’t believe no one had thought of it first. Sure enough, her business CleanLocs is the city’s only loc cleaning service: a full steam-based treatment to cleanse and freshen your head. 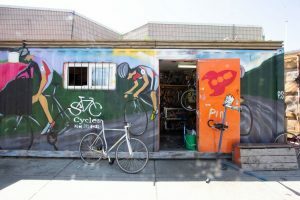 Probably one of the best spots to get your bike fixed in the area, this full service bike shop might be small but it’ll provide you with any fixer-upper repair you need, from tune-ups to to brake issues. Plus prices here are decent: what more do you need from a bike repair shop. It’s nice heading to a phone repair store knowing you won’t get ripped off. 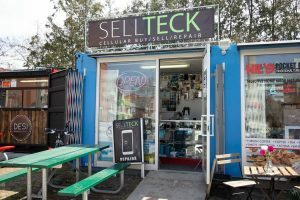 That’s how it feels getting your iPhone fixed at Sellteck, where screen repair prices and unlocking costs are actually listed on the site and owners are patient with even the dumbest tech questions.